A chieftain of the All Progressives Congress (APC) in Kano, Atiku Ahmad-Dungurawa has called on President Muhammadu Buhari to attend the proposed presidential debate. The News Agency of Nigeria reports that Ahmad-Dungurawa, the Coordinator, Door-To-Door Campaign for Buhari/Ganduje, made the call while addressing a news conference in Kano on Tuesday. Ahmad-Dungurawa said Buhari has achieved a lot, especially in the area of infrastructural development, security, economy and above all, the fight against corruption. The APC chieftain said the debate would give Buhari the opportunity to inform Nigerians about the achievements his administration had recorded as well as clear areas of misconception about his government. 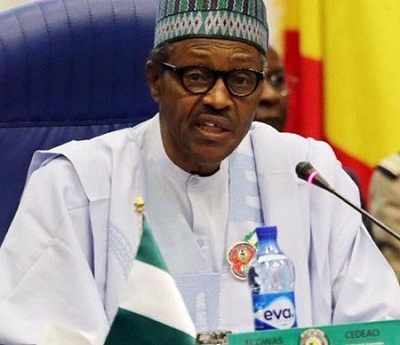 He said that due to adequate measures being taken by the Buhari-led administration, the security situation had improved and the economy stabilised. He expressed optimism that Buhari would floor the PDP presidential candidate, Atiku Abubakar because according to him Buhari has been able to fulfil the promises he made to Nigerians during his electioneering campaign in 2015. Ahmad-Dungurawa urged Nigerians irrespective of their political and religious inclination to support Buhari’s re-election bid to enable him to consolidate on the achievements recorded in order to take the country to greater heights. The APC chieftain commended the President for reviewing upward the salary of Police personnel, saying the gesture would go a long way in boosting their morale.